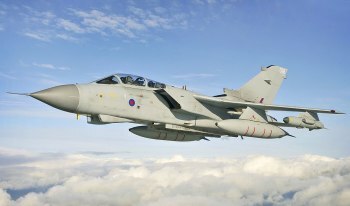 Rung to mark 40 years service of the Panavia Tornado at nearby RAF Marham. The Tornado will shortly be withdrawn from service, being replaced with the F35 Lightning 2. Last updated Saturday, 9 February 2019 at 19:45:30. First submitted Saturday, 9 February 2019 at 19:43:00 by Peter J Waterfield. Sent for publication in The Ringing World on Saturday, 9 February 2019 at 19:44:52, and printed in issue 5627, page 205. This performance has been viewed 660 times.